David Negrin was executive director and head instructor of the NYC Screenwriters Collective from 2007-2015 where he built NYC's largest not-for-profit screenwriting workshop. The Collective's mission is to teach the craft of screenwriting, grow a diverse community of NYC area writers and filmmakers, and enable success in the business of writing for film and television. The NYC Screenwriters Collective grew to over 3500 members involved in workshops, lectures, networking events, and podcasts. Instructor led screenplay analysis workshops using The Collective Method collaborative script development process. Social events in NYC to network with other filmmakers, producers, and industry executives. Co-sponsored events with arts organizations such as Tribeca Film Festival, NYWIFT, and the IFP. Every week on THE SCRIPT Podcast we analyze the latest scripts, films, and original TV series from a screenwriter’s perspective. THE SCRIPT is the official podcast of the NYC Screenwriters Collective and features our best instructors and professional screenwriters from our workshops. 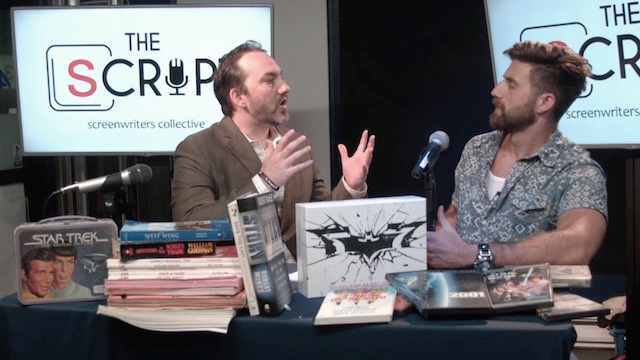 We recap the film or tv series, discuss current events in film and television, and analyze story at the highest level anywhere on the internet. As Head Instructor of the NYCSC, over the course of teaching more than one 150 workshops, I developed a custom script development process for feature film and television analysis. The ‘collective method’ combines aspects of the academic workshop, instructor- led Socratic discussion, Hollywood studio development practices, and a collaborative “writers room” engine. Our collaborative script analysis is artistically empowering and industry aware. The mission is to build a diverse community of New York City area screenwriters and enable professional script development independent of the studio system.